This year marks 150 years since the Meiji Restoration, which restored the Japanese emperor to power. Recently, there has been a movement to reevaluate the political, economic, and societal reforms which were carried out over a short time during Japan’s modernization in this turbulent period. The story of the Asaka Development and Canal Project which was carried out in the Koriyama and Inawashiro area of Fukushima Prefecture has been recognized as Japan Heritage (The Canal That Ensured the Future of Asaka) by the Agency for Cultural Affairs. This project was carried out in the early Meiji period to transport water from Lake Inawashiro through the Ou Mountains to the Asaka Plains, transforming the barren land into fertile farmland. 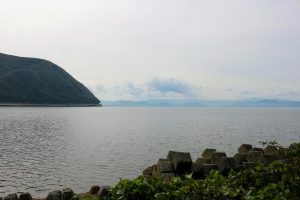 The massive project took three years, costing a third of the national budget for public works at the time and involving a total of 850,000 workers, in order to connect Lake Inawashiro and Koriyama with the canal. 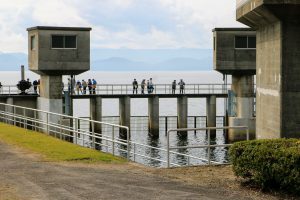 This tour will allow participants to learn the stories of the people who brought about the first state-run agricultural irrigation project of the Meiji government, and cover the efforts to promote the local specialties and tourism resources which developed in the region thanks to this historic project. The workers involved in the Asaka Canal project included samurai who gave up their swords and found themselves unemployed after the Meiji Restoration. The samurai and their families, approximately 2,000 people, moved to Koriyama from Kyushu and elsewhere in Japan. The Jurokkyo Dam is a symbol of the entire Asaka Canal project, as its construction was started first. The dam is located on the western side of Lake Iwanashiro, and can adjust the water level and act as a reservoir. 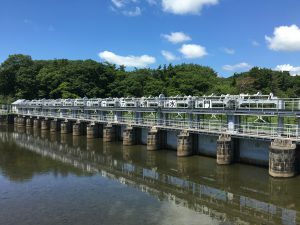 Even now the Jurokkyo Dam fulfills an important role in disaster prevention, helping to manage flooding during heavy rains. It is also the oldest concrete dam in Japan. The tour will visit the Jurokkyo Dam and learn the history of the canal. The tour will also visit Joko Beach at one end of the canal, and have the opportunity to photograph Lake Inawashiro. Fukushima Prefecture is the second-largest producer of farmed carp in Japan, with much of it from Koriyama, which is the number one producer among municipalities in Japan. During the Edo period (1603–1868), many irrigation ponds were made in Koriyama to deal with water shortages. 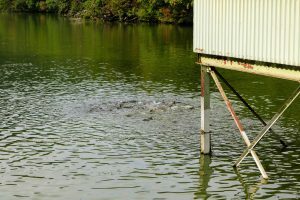 When the Asaka Canal was finished, water for irrigation was readily available and so the ponds began to be used for raising carp. The silkworm industry also became popular, so silkworm pupae were available to feed the carp, and with these conditions carp farming grew popular. Kumada Suisan produces over 500 tons of farmed carp per year, with 14 farms throughout Fukushima. The company has improved its farming techniques with careful farm management and selection of feed. The company also processes and sells carp, helping promote the culture of eating carp with efforts including having it included in the menu for school lunches. The tour will visit Kumada Suisan’s carp farm, and have the opportunity to film the carp being fed, as well as hearing from President Sumiyuki Kumada about the secret to raising quality carp and efforts to encourage carp consumption. With the Asaka Canal, Koriyama became the largest rice producer in Fukushima with its fertile rice paddies. Asakamai rice grown in Koriyama and sake made using the excellent rice and water available are among the products certified as Koriyama Brand. For lunch, the tour will visit the Bandai Atami Spa and eat at Shikisai Ichiriki, a restaurant celebrating its hundredth anniversary this year. While the group eats a lunch made with carp from Kumada Suisan and Asakamai rice, Head Chef Seio Saito will speak about the food culture of Koriyama. 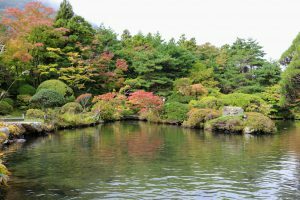 After lunch, the tour will be able to see Shikisai Ichiriki’s Japanese garden, which is over 16,000 square meters in size and should be filled with beautiful autumn leaves. 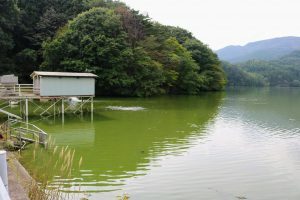 This will be an opportunity to film and photograph the rustic beauty of the garden with ducks and other birds playing in its waters supplied by Lake Inawashiro. Sasanokawa Shuzo has been making and selling sake in Koriyama since 1765, and has been a member of Kaiseisha, a group of local merchants originally formed to help develop the Asaka Plains, since its founding. Due to the rice shortage after World War II, they began to make whisky, and the Cherry Whisky released by Yamazakura Shuzo (one of the companies which merged to form the current Sasanokawa Shuzo) became a hit in the 1980s, when it was considered one of the top three Japanese whiskies. 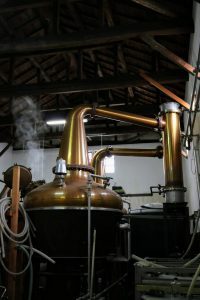 Although the distillery stopped making new whisky while it was unpopular, they continued to sell aged whisky the entire time. Forty percent of the whisky sold by Sasanokawa Shuzo is exported to 30 European countries, primarily France, and also to Canada. 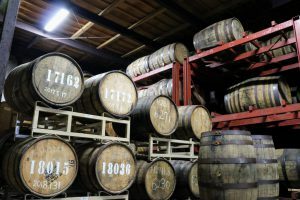 In the 2010s, with a growing global whisky boom, the reputation of Japanese whisky quickly grew as it received awards. This helped sales of Sasanokawa Shuzo’s whisky begin to grow again. In 2015, to celebrate 250 years since its founding, Sasanokawa Shuzo invested in new facilities, and the Asaka Distillery was opened and began making new whisky in 2016. Since the whisky will not be sold until being aged for three years, this “new” whisky will be released in autumn next year. Head sake brewer and Managing Director Toshiko Yamaguchi will guide the tour around Asaka Distillery, where there will be the opportunity to film and photograph whisky being distilled and aged in barrels. There will also be a tasting at the distillery’s shop. 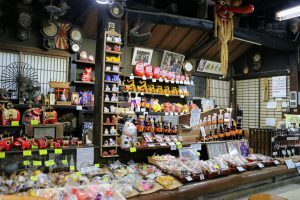 To the east of Koriyama Station is Takashiba Deko Yashiki, a traditional “village” of four hariko workshops with 300 years of history that is one of Koriyama’s main tourist attractions. Hariko are made by attaching paper to wooden molds and painting on the paper before removing the mold. 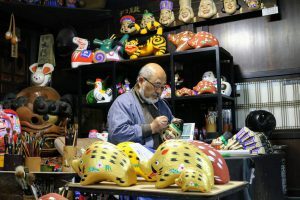 The tour will visit Hikoji Mingei (said to have been the first workshop in the village to make hariko of zodiac animals) and hear from Mr. Daisuke Hashimoto, the 11th head of Hikoji Mingei, about hariko, which are also certified as Koriyama Brand. 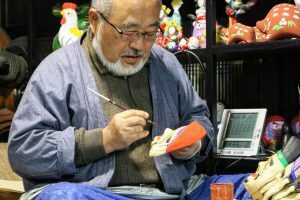 It will also be peak season for making hariko of next year’s zodiac animal, the boar, and there will be an opportunity to film and photograph Mr. Takayoshi Hashimoto, the 10th head of Hikoji Mingei, as he paints the hariko. There will also be a chance to try painting hariko for those interested. *The schedule above is still in progress and subject to change without notice. 3. Cost: 5,000 yen per person including transportation and lunch. *If the number of applicants exceeds 6, an upper limit may be set on the number of participants from each country/region. （1）This press tour is sponsored by the Japan Heritage Promotion Council of Koriyama City, and planned and operated by the FPCJ. （2）The schedule is subject to change without notice. （3）This press tour will require participants to bear part of the cost, but is not a profit-making venture. （4）Neither the Japan Heritage Promotion Council of Koriyama City nor FPCJ will be liable for any inconvenience, trouble or accidents that might occur during the tour. （5）There may be some restrictions on photographing and filming at the tour sites. Please follow the instructions of the staff in charge.